If you are one of those guys who live in an apartment that doesn’t allow you to own all the power tools you would want, know that this issue is now a thing of the past. In order for you to own a drill press and a table saw, and maybe even a drill or circular saw you would need a fair amount of space. Unless you have the CEL WS3E Power8 Workshop. This is, by far, the best alternative to separately owning all of the aforementioned tools. Why is that? Because the Power8 Workshop gives you all of these tools, and a few other ones, in a compact form. This workshop measures 21 x 15 x 10 inches and weighs a total of 36 pounds. So, let’s see what the Power8 Workshop has to offer. The workshop case has four very useful tools built into it. It has a table light for those jobs where visibility and precision are key. 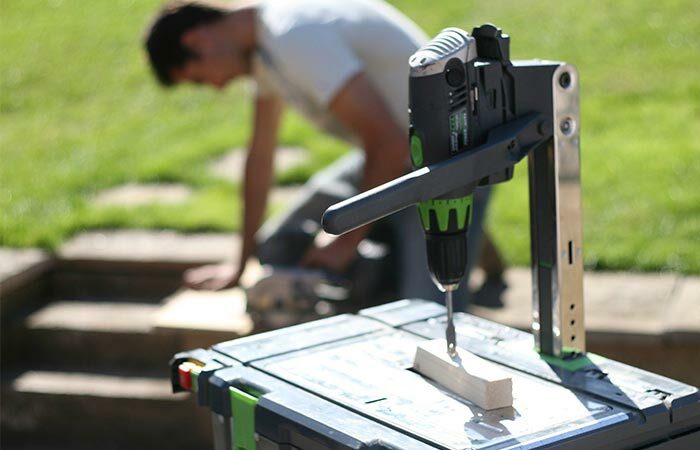 It boasts a drill press for more stability when drilling. And it has two different saws, a table and scroll saw. 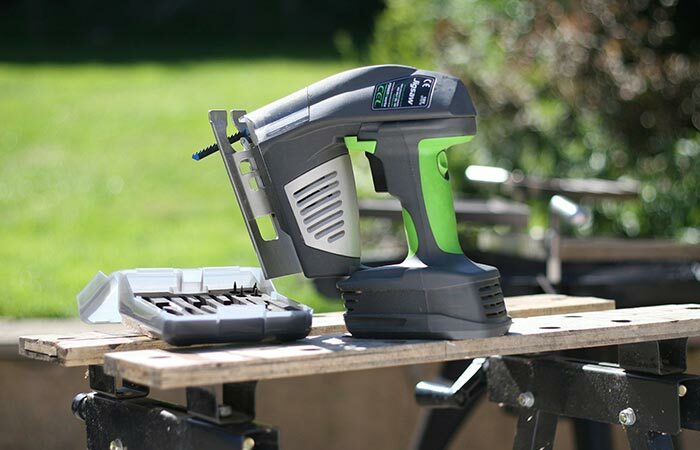 These four tools can be used for all the DIY projects and repairs you were unable to do before, but the “8” in the Power8 is not there for nothing. 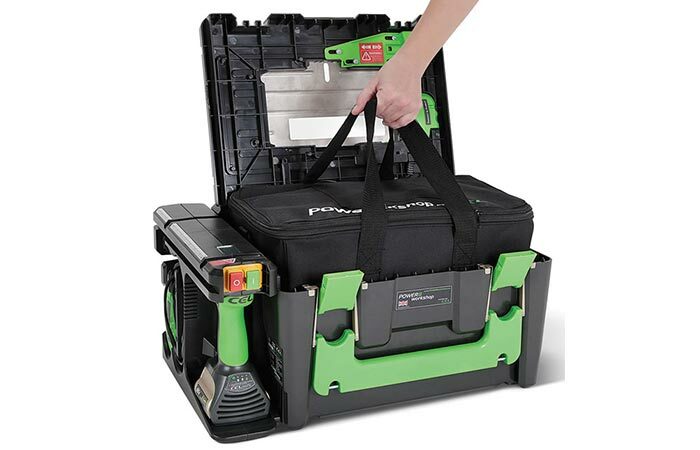 Apart from the tools built into the workshop case, it can have four separate power tools. All four of the aforementioned tools can be unmounted from the workshop case so you can use them freely around your home. This is possible thanks to the POWERhandle, which obviously serves as a handle and power source for these tools. By using this handle, we get a regular drill, a flashlight, jigsaw and circular saw, all of which can be used away from the workshop case if the job requires so. The POWERhandle system has another important advantage, it allows very fast charging so your tools up and running again in no time. 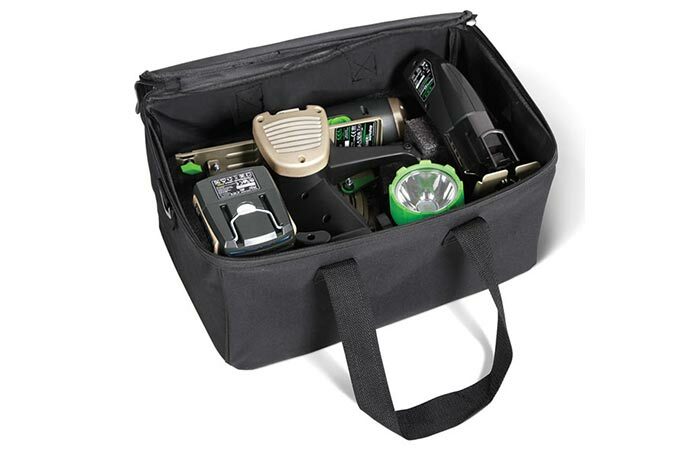 Along with all of these tools, you will get various accessories, such as driver and drill bits and a carrying bag. The CEL WS3E Power8 Workshop is the ultimate workshop substitute for all who are pressed with space.